Great interview. Good luck with your book. 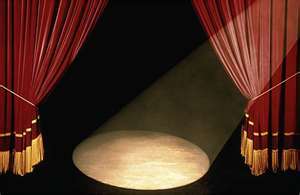 Barbara, I enjoyed your spotlight today, and Maggie, all the best with your book! Maggie, congrats, an exiting original storyline. Wishing you many sales. 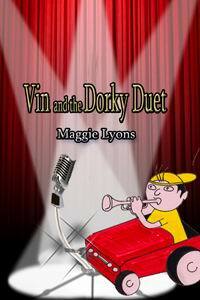 Thank you, Barbara, for spotlighting me and reviewing Vin and the Dorky Duet. I’m happy to answer questions – well, of course, that depends on what the question is. Like Vin, I’ll consider a challenge or two. Great interview by two of my favorite authors! Wishing you much success with Vin and the Dorky Duet, Maggie. Nancy, thank you so much for your very kind comments. And a big thank-you to everyone else for your good wishes. Sounds like so much fun! Thanks for spotlighting Maggie and Vin today. Marian, thanks for visiting and leaving a comment. Nancy S., I think The World of Ink has a good thing going with the Spotlights. I’m sure this tour will be good for Maggie. Liam, naturally you would pick up on the original story line. Thanks for your comment. Nancy B. Hi; thanks for stopping by. You happen to be one of my favorite editors, too. MuseItUp is just bursting at the seams with good writers, good editors, and good cover artists. Kai, this book really is a lot of fun–one outrageous after another happening. Maggie, I think we’ve hooked some new readers for you. If so, I know they will enjoy reading about Vin as much as I did. Thank you, Barbara, and everyone for visiting Barbara’s blog today. Nice interview, Barbara. Sounds like a good read by Miss Maggie. Enjoyed reading about it. Very nice interview. I enjoyed learning more about you, Maggie. What an interesting muscial career. Tween readers ought to love your book. Best of luck to you. Hi Penelope Anne. Yes, Miss Maggie has quite a knack for entangling her characters in an interesting plot. Hi Beverly. Talk about writing what you know, Maggie has done that with her musical experience. Thanks to ALL for dropping by. Maggie, Music and kids are a great match. Having a background in music, especially giving piano lesson, must give you plenty of ideas! Hi Karen, I think this book proves you’re right. it takes to make an optimal decision. You don’t need to dread spending all of funds when you go buying. You can get the knowledge it requires to hold on to money when you use gain dishwashing liquid coupons properly. You simply need to learn where to discover the correct gain coupons. Study beneath to acquire some beneficial tips about gain coupon and saving funds when you shop. As we age, people’s memories decline. A lot of people believe that this can be a natural response for the formation of new memories, but attempt telling that to a person who is attempting to keep in mind childbirth or very first loves. Make use of the suggestions presented below to stimulate your memory and stop forgetting in order that you will not shed any much more essential memories.